Data from a large multicentre, prospective study in the UK on the pathological changes associated with dementia has just been released (see here). 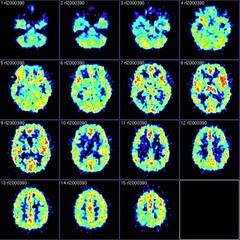 The data were generated from analysis of 456 brains donated by dementia patients. The result? Buckle-down, we’re in for a long ride on this one. In other words – no single dominant pathology was found. This indicates that multiple causal factors for dementia exist and this will require a multi-modal treatment plan. No silver bullet here, unfortunately. At present there is no way to clearly image these pathological changes in patients so the data must come from neuropathology anaylsis post-mortem – another factor which makes this field so challenging. Sadly, it’s a burgeoning industry and one upon which an increasingly large number of people will be placing their lives. MaRS will soon be hosting the Business of Aging conference – a major multi-disciplinary symposium which will touch on the issues of exactly this kind of age-related disease. Join us to find out how you can position yourself within this important market.